The Browns are set to play their final game of what’s been a tough to watch 2016 today in Pittsburgh, but from the sounds of it the offseason, as it usually is, will be interesting for the brown and orange. According to Jason LaCanfora of CBS Sports, the Browns coaching staff, which wasn’t given all that much to work with in 2016, is going to push for some major changes this offseason to the front office, and are going to put the heat on owner Jimmy Haslam to do it. 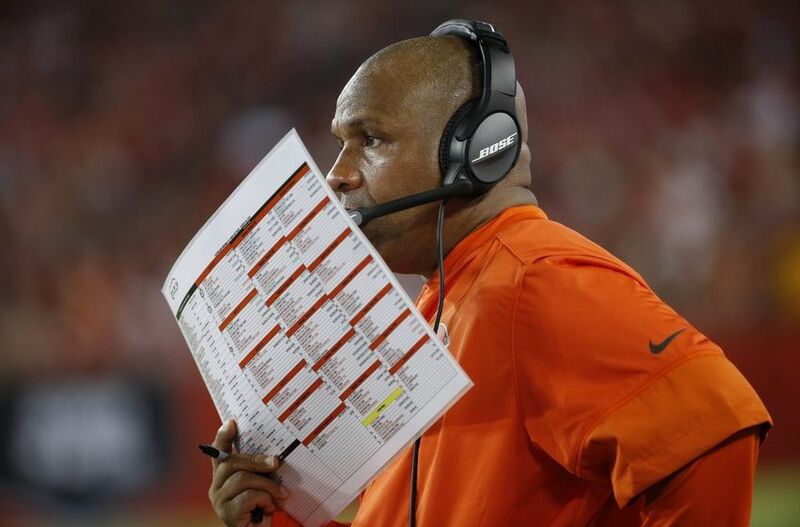 LaCanfora wrote today that coach Hue Jackson, who is safe with his job into 2017, will go to the Browns owner with concerns about what’s going on with the front office staff, and how things are being done. Don’t forget the Browns are all in on the ‘analytics’ and using basic baseball methods to pick players through the draft as well as free agency. It sounds from the piece that Jackson doesn’t want to throw the whole current plan out the window, but wants the way things have been done to change a bit including a talent evaluator. While coach Hue Jackson is not planning to request the removal of top football man Sashi Brown, or the influential analytics department he has built, the sources said there will be a strong push to ownership to reconsider the flow chart. The coaches would like a proven, old-school talent evaluator involved in player selection to provide checks and balances with the current setup. Frankly, the issue should be no surprise after a one-win season when their bevy of draft picks have provided little production. Plus, several former players who were cut or not re-signed are thriving on more successful clubs. There are deep concerns, with the team still lacking a quarterback and this 2017 draft pivotal for the future, that merely letting the same process unfold this spring could bring dire consequences. Hiring a former general manager to oversee player evaluation is seen as imperative. This is an important offseason for the Browns with lots of money to spend and lots of picks in the draft, it will be interesting to see if Jackson’s plea to have some changes gets noticed or if Haslam stays with the program the way it is after the team suffered a complete rebuild in 2016.